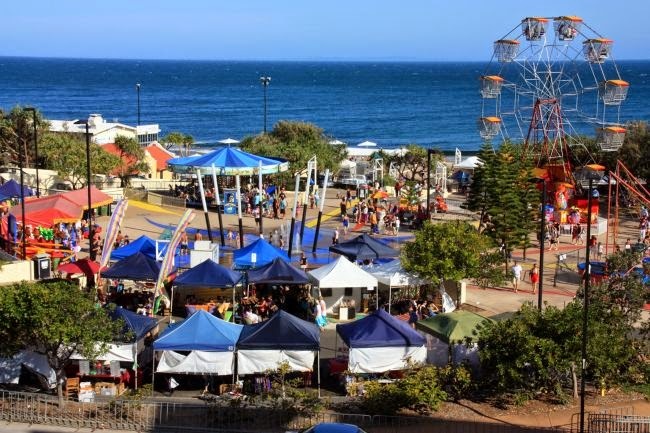 Take a stroll along Caloundra's coastal boardwalk and experience more than 70 events in and around the Caloundra Central Business District and surrounding beaches. Fill up your days and your nights by picking up events from the extensive Fringe calendar. Choose events covering music (Missy Higgins through to the Buderim Brass Band), film, projection, arts and crafts, the environment, carnivale street theatre, markets, busking and more. Venues range from open air waterfront locations through to theatres and intimate performance spaces like the Art Gallery. The big blockbuster event is the Caloundra Music Festival with four days of sun, surf and soul in the amphitheatre at Kings Beach. Music for every taste and every age in a fun family friendly environment. Some Fringe events are free while others are tickets. Check the program and work out your itinerary. This is definitely the time to be on the Sunshine Coast.